Transform SGI to JPG raster images online in a few seconds! 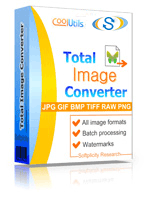 Try a SGI to JPG Online Converter or buy a batch App for more! Description SGI format was developed as a part of SGI image library. Such files are used for storing graphics in various color schemes (grayscale or color) with 8 or 16 bits depth per channel. It uses a scan-line offset table to define the start of each scan line in compressed data. It supports alpha-channels. Possible file extensions are .bw, .rgb, .rgba and generic .sgi. For file size reduce RLE compression is supported. SGI format is compatible with various viewers and editors for Windows, Linux and Mac OS.